Many couples go on a Mexican dental vacation to spend their dental savings. You can pay for your entire beach trip and still save money. Planning your Mexican dental vacation? We assume you’ve done all the due diligence to choose the best dentist for your dental vacation. If not, here are a few pointers to help you find the best dentists in Mexico (Link). If you have a good Mexico dentist and you are set for your dental trip, that’s great. Water safety in Mexico: Is it safe to drink the water? 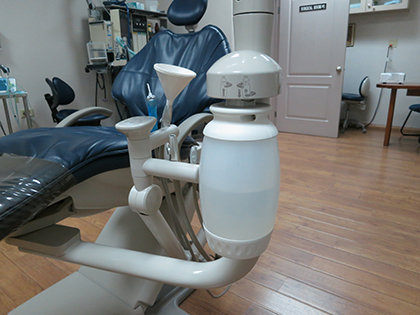 The top two important safety practices for dentistry in Mexico are the use of clean water (not tap water) and dis-infecting the dental chair water lines. Do you drink the water when you go to Mexico? The answer to this question is different for every person. This is true for local Mexicans, Americans and Canadians. If you ask Dayo Dental staff, we’ve drunk tap water in our Mexico dental destinations, and we were fine. But to be extra cautious, we just buy bottled water to drink when we are on the road. How much are dental implants in Mexico? 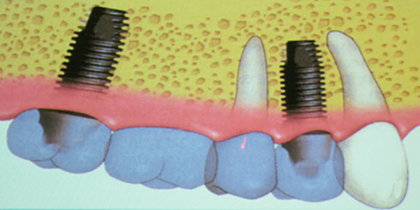 The key to pricing dental implants is understanding its 3 components: post, abutment and crown. Understanding the components of dental implants is key to understanding how much are dental implants. As a dental tourist, you’ll get the biggest savings and value by travelling to Mexico for dental implants. The difference between how much dental implants cost in Mexico vs the US or Canada is in the thousands. With just one single tooth implant, you can justify the short travel to Mexico, especially if you can just drive to the US / Mexico border. From your CT Scan, your dentist can make 3D models and plan your oral surgery, including the optimal placement of implants and bone grafting procedures. This article discusses recent developments in the use of advanced digital X-ray imagery and CAD/CAM to reduce chair visits to the dentist, improve accuracy and increase predictability of outcomes from oral surgery. Predictability is the Keynote in Oral Surgery! Many patients seek dental care in Mexico because the advanced restorative dentistry they need – crown-and-bridge work or, more recently, dental implant restorations – is prohibitively expensive at home.